Blessed are those who have come into contact with him for he was a Saint and a man of God. Many missionaries have come out of India but perhaps there is none who has laid down his life for the cause of Sanatan Dharma in the Western World as did His Holiness Srimat Swami Purnanandaji Maharaj - Guruji, as he was affectionately referred to by his disciples. During his formative days he was from the onset a deeply God conscious person and in his search for an ideal Guru it was destiny that brought him to the feet of the Illustrious Patriot Saint of India and Prophet of the New Hindu Age Acharya Srimat Swami Pranvanandaji Maharaj. The Acharya lived during the turbulent years of the early twentieth century. As part of a divine plan, his life was eclipsed by other such notable personalities of the Hindu renaissance and the struggle for Indian independence such as Swami Vivekananda and Mahatma Gandhi. At this crucial juncture the Acharya concerned himself with the spiritual degradation and the servile lack of spirit among Hindus which he attributed to the centuries long political subjugation that left them feeble and weak. He wanted the Hindus to remind themselves of the glorious past to which they belong, being the descendants of Rishis and Munies, Saints and Sages as well as the many Divine Manifestations of the Supreme Lord that once walked the face of the earth of Bharat Maata, India - the land of the very abode of gods and goddesses, a claim that no other country but India can make. What he felt that was needed was a vigorous boost to this fallen but once mighty nation, the reservoir of spirituality. India he declared must re-ascend the exalted alter of World Teacher and once again proclaim the pristine glory and profound teachings of the Vedic Ideals - the highest expression of spiritual truth. At the behest of his guru, Swami Purnanandaji became the first ambassador of the Sangha to journey fourth out of India inorder to seek her lost children that departed some One hundred years ago under the most deplorable and sub-human conditions to a world unknown - they being the victims of circumstances ! His journey by boat was also under grave conditions that lasted several months before he arrived at his new destination. But this did not deter him from his course of action and mission which was to effect a global spiritual re-awakening, synthesis and emancipation of his forgotten sisters and brothers, now domiciled in their brave new world and home in the Caribbean. On his arrival in the early 50's he first planted the banner of the Sangha on the shores of Trinidad where he established an Ashram and several Hindu Primary schools before moving to Guyana. Penniless and a perfect stranger with only a passport in his hands, Swami Purnanandaji defied all odds and with an undaunted spirit and an indomitable will to succeed, he marched forward like a brave soldier in the field Of action. Just after his arrival Swami Purnanandaji was greeted by a most benevolent and charitable soul Sri Resaul Maharaj who donated him a 30 acre plot of land that sits picturesquely on the banks of the mighty Atlantic Ocean. What was once a veritable swamp ravaged by floods has today been transformed into the Majestic, Heavenly Abode of the Guyana Cove & John Ashram Complex. The complex is comprised of the campuses of the famous Hindu College, the Hindu Primary School, Dormitories for boys, the beautiful Guru Mandir, Meditation Park, etc. Incidentally, this is in keeping with the Ashram's overall Aims and Objects in India which are to feed the hungry, clothe the naked, nurse the sick and provide shelter to the homeless. And it is no wonder the Ashram has earned the reputation of being 'a mission with a heart' ! From humble beginnings, the Hindu College rose almost instantaneously to National fame as a result of its high academic standards and scholastic achievements of its graduates. In addition, students received strict moral, religious and spiritual instructions that serve to set them apart from others - being a form of Guru-kul system of providing both religious and secular education. What is also remarkable is that inspite of its name, the Hindu College remains non-sectarian and as a rule accepted students irrespective of their race, colour or religion. As a matter of fact Guruji allowed the Muslim and Christian students to foster their own Religious Beliefs and Practices at the College instead of having them compromise theirs. Only a saintly personality would go to this great length of accepting all people as his children and the world as his vast domain. Like the Acharya, Guruji's heart bled for suffering humanity. He was a man of great love and compassion as is evident is his policy at the school of granting free scholarships, free meals and accommodations to all of the needy students that showed promise but was too poor to afford a higher education. Many young men also came forward and were accepted into the fold of this Holy Monastic Order under his tutelage. And as fate would have it, three of these ear-marked young Guyanese Ascetics became the first Hindu Monks in that part of the world. They are Swami Vidyanandaji, Swami Nirliptananda, Swami Bhajanananda. Later Swami. 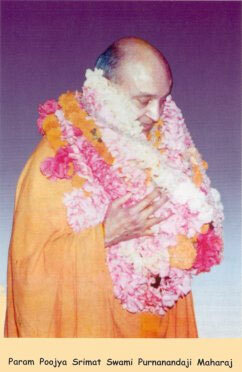 Shivashwarananda was also initiated into the fold of the Sangha. Guruji traveled the entire length and breadth of Guyana preaching and educating the local masses. And the vast majority of the Hindus was inspired by him and evidently accepted him as their Guru. He introduced and popularised the system of congregational worship comprising of Vedic Sandhya, Havan Yagna, kirtana and Maha Mantra chanting. He later incorporated this method of worship for its wide spread use in the very popular Hindutvam. The word Hindutvam literally means 'Thou art a Hindu'. What he envisioned doing was that by using the generic term 'Hindu' he may be able to raise the consciousness and imbibe in the Hindu masses new energy, life and pride. This was also in line with the selection of the name Hindu College. Hindus in Guyana were more or less only exposed to the teachings of the Ramayana which they embraced very dearly. But with the coming of His Holiness they were now afforded the rear opportunity to hear the Divine Messages of the Sri Bhagwan Krishna. And as the Guyanse populace grew much fond of the Gita he was convinced to have it translated for their exclusive use, which he gracefully did. Swami Purnanandaji championed the cause of having cremation being properly introduced in Guyana. It is imperative for Hindus to be cremated as it helps the soul in the commencement of its journey and to achieve final liberation. Thus he felt that it was wrong for Hindus to be denied this sacred privilege and birth-right. Being part of his mission to bring about a revival of Hinduism in the West, he realized that many Hindus were moving adrift from their religion. For one thing the religion was badly indeed of proper representation and for a formal educational system to be put into place. It was also partly due to the strong proselytizing efforts of the Christian Missionaries and also because of the out-dated and unfair Colonial laws that required all Public Servants to be Christians. His Holiness was instrumental in influencing changes to this vastly discriminatory law of the land that finally resulted in Hindus no longer being required to have their names changed nor for them to be converted to Christianity in order to be given such jobs. Today the Ashram stands as perhaps the only place of pilgrimage where Hindus could be afforded an opportunity to visit and have their lives divinized. Thousands of devotees visit the Ashram and draw inspiration from its beautiful and sublimed atmosphere, especially at the time of Maha Shivratri. Later Swami Purnanandaji established Ashrams at some of the major centres around the Globe. First in London, England which is today under the direction of his monk disciple Swami Nirliptanandaji., then in Canada which is under the direction of another of his monk disciple Swami Bhajananandaji. 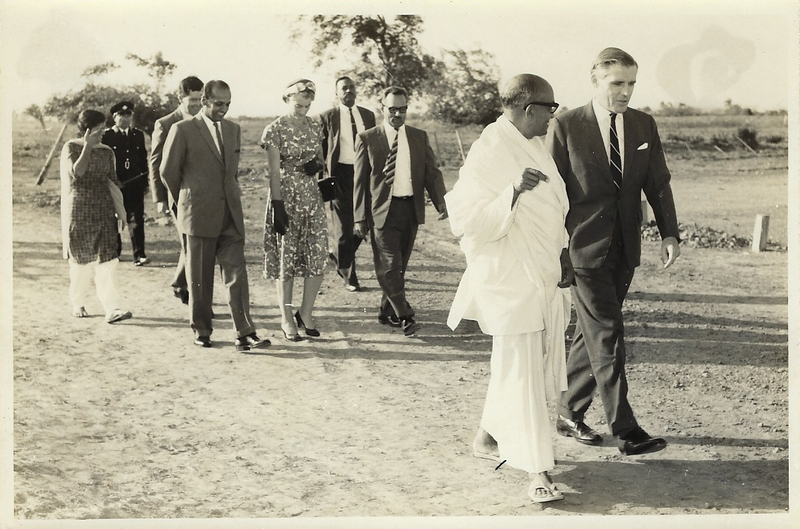 During his sojourn in England he co-authored a book with the much celebrated historian Ninian Smart on the Life and Times of the Acharya, entitled "Prophet of a New Hindu Age". And we greatly urge you to read this book to find out why he has deservedly earned such a Great Title. In this way Swami Purnanandaji left his imprints indelibly inscribed in the hearts of all. His life epitomized the very spirit of this Great Monastic and Holy Order of Men - in the veins of which pulsed through Miraculous and strange energies. His achievements were a testimony to the fact that he was a most fitting instrument of the Lord, or just that God was effecting His Divine Lela and Plans through him. Because of the spiritual magnitude of the Sangha his death does not extinguish the hope for a continuum of his noble work. Even to this day and in all areas and fields of human endeavours the Ashram continues to be a source of inspiration. To its great credit even the President of Guyana the Hon. Bharrat Jagdeo was once connected, and his life was touched by the Ashram, when he served as a member of staff at the Hindu College. And even so in the field of sports, famous world class criketer Shivnarine Chanderpaul prides himself as a disciple and former student of the Hindu College. In conclusion, the life of this Saint and Seer represents a composite whole of the three yogas enunciated by Bhagwan Sri Krishna in the Bhagwat Gita. Thus he was Bhakt Yogi, a Gyaan Yogi and above all a Karma Yogi. Please contact Bharat Sevashram Sangha Canada for more information.